The spit of land, after which the town is named, was created by alluvia, deposited by a stream from the gully Budargil, which belonged to the estate Stora-Eyrarland. The farmhouse stood on the slope, where the regional hospital now stands. A figurine of the pagan god of thunder, Thor, was discovered on this land in the 19th century. It is one of the most remarkable archaeological finds of the country and is on display in the National Museum in Reykjavik. The gully Budargil takes its name (Shop or Booth Gully) from the trading booths once situated there. This was where the first settlement in the town developed, and is the site of the oldest house in Akureyri, Laxdalshus on Hafnarstraeti 11, built in 1795. It was the home of merchants and their agents almost without interruption right up to 1933. The oldest houses in the inner town all have stories to them. Many are named after Danish merchants or other prominent local people, such as Hoephner, Tuliniushouse, Gudman’s Minde and The Laxdal’s House. The residents of Sibbuhut, Skaftahouse and Krakshouse came from a completely different walk of life, and their humble dwellings have passed away, leaving only the names. Adalstraeti 4, once known as the Old Pharmacy, was built in 1859. Serving as a pharmacy and the chemist’s home, this was a grand building in its day, costing 10.000 thalers to construct. In terms of scale and style, it was a milestone in the history of Icelandic architecture. There was a veranda along the entire eastern side and carved decorations in the wood of the doors and windows. Adalstraeti 14, the Old Hospital, is one of the oldest two-storey buildings in Iceland. It is also known by the name Gudman’s Minde (Gudman’s Memorial), after merchant Fridrik C.M. Gudman, who donated it to the municipality to be used as a hospital. There were eight beds, a doctor’s residence, laundry and mortuary, along with baths, which were open to the public once a week. Adalstraeti 50 was the site of the regional printing press, which was run from 1853-75 by the editor of two local newspapers. The presses, situated in the north end of the house, were supplied by the country’s national hero, Jon Sigurdsson, and leader of the parliament. Clergyman and poet Matthias Jochumsson, who wrote the words of the Icelandic national anthem, lived in the house from 1887-1903. One of the most remarkable householders in the Inner Town was Lady Citizen Wilhelmina Lever. She became the first Icelandic woman to vote in a public election in 1863, claiming the right on a legal technicality, and also happened to be the first woman in Akureyri to apply for a divorce in 1824. She owned many houses in the Inner Town and ran a shop in Hafnarstraeti. It is conceivable that she built Adalstraeti 52, where she was landlady and ran a restaurant in 1853. Akureyri has a reputation in Iceland for flourishing vegetation, and surely has more rowan trees than anywhere else. In spring, the whole town is infused with the scent of rowan blossom. In the last weeks of June, particularly at night, this intoxicating aroma is a unique experience. And in autumn, the town seems ablaze with countless hues of rowan. Akureyri’s plants, trees and public gardens can be traced back to the „Old Plant Nursery” which was set up towards the end of the 19th century in what is now the Museum Garden. Another old plant nursery under the same name started up in 1903 farther south down the shore, where a remarkable collection of trees can be found. The Botanical Garden on Eyrarlandsvegur was opened in 1912, two years after the women of Akureyri had begun cultivating plants there. Grofargil is now more commonly known as Kaupvangsstraeti or Listagil (The Artists Gully). It was the site of factories, which were largely owned by the KEA Cooperative Society. KEA built a slaughterhouse there in 1907, its first industrial premises, and later operated a dairy, detergent factory, margarine factory and other undertakings. Near the shore were a horse stable and a guesthouse called Caroline Rest, built by an American of German decent, George H.F. Schrader, who named it after his mother. These buildings are no longer there. Schrader lived in Akureyri from 1912-1915, at al time of great local poverty and unemployment. He provided work for the unemployed, made donations to various charities and even wrote books about commerce and care of the Icelandic horse. Oddeyri, the site of the old seafront industrial area, was an ancient meeting place and assembly site and is mentioned in the Sagas of Killer-Glum and the People of Ljosavatn, which are set in north Iceland. It was here that Bishop Jon Arason, Iceland’s last Catholic bishop before the Reformation, was pronounced guilty of treason along with his sons in 1550 after their executions, and their lands confiscated in the name of the Danish king. 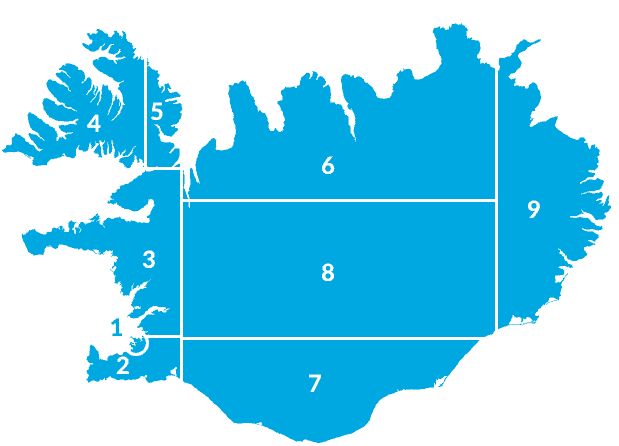 Originally there was no lowland between the points of land called Akureyri and Oddeyri, the sea reached the foothills and communications were difficult between these two places. Oddeyri was where Granufelagid was set up in 1872, the first Icelandic trading company in Akureyri. Fishing outfits and a fish-liver oil plant were situated there. This trading company was the forerunner of the KEA Cooperative, which would play a major role in life in Akureyri. KEA was established by a group of farmers in 1886 at the farm Grund in the Eyjafiord County. In 1906, KEA opened its first store in Akureyri, a milestone event in the history of the company and in fact of the whole cooperative movement, as the first such in Iceland. Glerarhverfi is a community, which started developing on the northern side of river Glera in the second half of the 19th century. The village developed gradually and was called The Glera Village. It was just outside the old town limits, which ended at the river. Poor people built houses for themselves and until 1930 most of the houses were made from turf and sod, which had been prohibited within the town limits since 1905. The Glera Village was incorporated into Akureyri in 1955 and became known as The Glera District. Even today, this part of town is referred to as „The Village”. All around Akureyri are continuous open spaces of great biologic, geologic and geographic diversity, with exceptionally rich flora. Even in the town, nature can be fascinating, such as the unusual plant life on the slopes, which includes water forget-me-not, northern bedstraw and wild strawberries. There are marked footpaths in most of the areas in and around the town. A statue of Helgi the Lean and Thorunn Hyrna, the first settlers of the area, stands on the Hamarkot Rocks on the street Brekkugata near the police station. Hamarkot is now in the centre of a residential area. A fine route to walk lies from The Mylluklopp Rock to the end of Brekkugata, across Thorunn Street and up the street Byggdavegur to the street Nordurlandsbraut, where a path leads to The Kota River Cliffs. A fine place to walk can be found by driving south along the street Drottingarbraut in the direction of the old road across Holmar (the islets in River Eyjafjardara estuary). Several paths lead from the road across the islets. The road goes on to cross the main Ring Road and ends at the farm Knarrarberg. The Festarklettur Rock, where Helgi the Lean and Thorunn Hyrna moored their ship, is on the Knarrarberg land. The Thorunn Island is one of the islets. Walk from the Town Square (Radhustorg) down the street Strandgata, the oldest street of the Oddeyri point. A footpath leads from the street Strandgata down to the end of the point Oddeyrartangi. Between the streets Hjalteyrargata and Glerargata is the oldest part of the Oddeyri. Walk from the street Strandgata down the street Hjalteyrargata to the River Glera. Just north of the bridge over the river is Oseyri, which extends as far as Sandgerdisbot on the shore. From there it is possible to walk along the beach to Langitangi and Jotunheimar. Bardstun Gardens. This was the path taken by boys from the Grammar School down to the beach, and is known as the „Path to Oblivion” on the way down but the „Path to Learning” on the way up. Around halfway down, the footpath is crossed by a track leading along The Akureyri Slope to the street Eyrarlandsvegur. Following this street and the streets Spitalavegur and Laekjargil leads to the main street, Adalstraeti. Continue from there to see The Laxdal’s House, the oldest house in the town, on the street Hafnarstraeti, then turn back to Adalstraeti for a look at the old Fridbjarnarhus, the Municipal Museum and The Nonni House. Walk from the Grammar School down the street Spitalastigur and up the street Laekjargata along the Gully Budargil. Above the house no. 11 on the street Laekjargata there is a marked footpath up the hill. The first potato fields in Akureyri, planted by merchant H.W. Lever and his daughter Wilhelmina, can still be identified on the northern side of the gully. The path leads to a rock which features in Jon Sveinsson’s stories about Nonni and Manni. Down the hill it continues to the gully Skammagil, above the Museum Church and the Nonnihouse Museum. Walk south from the Museum Gardens off the street Adalstraeti and up the street Naustavegur. From there is a path alongside the geothermal water distribution pipes, which can be followed past the Air-Ground Rescue Centre to beyond Leira. From the farm Naust, the path leads up to a road into the Kjarnaskogur Woods. A number of marked footpaths lead through the woods, up to the bogs Sulumyrar and around the Naust- and Hamrar Cliffs and Rocks. River Eyjafjardara Estuary, which is divided into Leira (Flats) and Holmar (Islets), extends from Hoephners Pier at the end of the gully Budargil to the gravel beds of Melgerdismelar in the Eyjafiord Valley, and has distinctive flora and diverse wildlife. Formerly this was the most important hayfield in the whole area, and haymaking and grazing prevented the growth of trees and shrubs. Large areas are now protected. Tea-leaved willow and woolly willow have spread across the Holmar, where there is a continuous cover of Lyngye’s sedge along with other plant species, such as small reed, cotton grass, marsh cinquefoil and bog bean. Occasional birch grows there, generally outreaching the often-sizeable shrub. On the banks are also stunted tea-leaved willow, usually the creeping variety, with considerable garden angelica and wild angelica in many places. The rare species marsh felwort and smaller fringed gentian occur there, too, while tall water horsetail and rushes grow in the ditches. The banks are covered with the densest patches of red clover found in Iceland; this imported species probably spread from the „Old Plant Nursery” where it also occurs. Patches of tufted vetch lend a blue colour to the islets in late summer. Leira is the feeding place of many species of birds, especially in spring, greylag goose, whooper swan, red necked phalarope, arctic skua, common gull, arctic tern and snipe are among the 25-30 species regularly nesting there. Others go to Leira to feed, including black-headed gull, redshank, oystercatcher, black tailed godwit, purple sandpiper, dunlin and ringed plover, along with duck species, such as the common eider, mallard, widgeon, tufted duck and long tailed duck. Ducks especially eider, nest in considerable numbers inside the airport area, even alongside the runway. In the second half of winter, kittiwake is common, feeding on small capelin and capelin roe from the Pollurinn pond. From late winter to spring, seals can be spotted on Leira, and their numbers are growing. These are ringed seals, an arctic variety that breeds on polar ice north of Iceland. Whales are frequently seen on the Eyjafiord Bay, humpback, minke whale, dolphins and porpoises venture as far into the bay as the waters of the island Hrisey. Killer whales have occasionally been spotted. The Leirutjorn pond was created when a road was built across the Leira flats, west of the airport. Slender leaved pondweed and horned pondweed grow there, and sand hoppers are often found on the shore. There are no fish in this pond, which is mainly freshwater with some brine content. The Krossanes Cliffs north of River Glera and east of the Horgarbraut Street have clearly been shaped by glacier erosion. Hidden people live in the Stofuklopp Rock. In 1962 it was planned to take building materials from this outcrop. Dynamite had been placed there when the foreman heard about the settlement of hidden people. He immediately contacted the manager of the Krossanes factory and work was stopped. A young lad who had the gift of seeing was called in to talk to the hidden people and after several discussions with him and meetings among themselves, they agreed to move to another rock farther west in the cliffs. In the marshlands between the cliffs are a number of pools. The thriving avifauna there includes black tailed godwits, whimbrels, snipes, golden plovers, arctic terns, ptarmigans, gulls and ducks. The flora is fairly rich, especially in marshland vegetation. Between Sandgerdisbot and Jotunheimar is a beautiful stretch of beach with a short point of rock called Langitangi. On the beach south of Krossanes, scurvy grass grows in among other littoral plants. Djaknatjorn (Deacon’s Pond) in the northern part of the cliffs near the Lonsgil gully is named after a deacon who is said to have drowned there. It contains tall bottle sedge, patches of mare’s tail, bog bean, marsh cinquefoil and water horsetail. Five of Iceland’s seven varieties of pondweed grow there: long stalked pondweed, which is very rare, as well as reddish, various leaved, slender leaved and small pondweed. Other water plants include water lilies, which were put there more than twenty years ago. Hundatjorn (Dog’s Pond) is a similar sized pond in the Krossanes Cliffs. Kjarnaskogur (The Kjarni Forest) form part of the belt of woodland, which is planned to encircle Akureyri in the future. This plot of land has been owned by the municipal authorities since 1910 and was originally a common. It is now a leisure and recreation area and forestation site, with footpaths playgrounds, picnic spots and barbecue facilities. The first trees were planted in Kjarnaskogur in 1952. Dominant species of trees are birch and larch, but a number of other trees and shrubs also grow there. The wild vegetation in the woods is also highly diversified, with more than 210 recorded species including those found in the adjoining wetlands. Among the rare species there are strict primrose and bluebell. The Naust Cliffs stand in the Hamrar and Naust areas, with a footpath through them down to the road at Tjarnarholsmyri bog leading to Nausta road. The Hamrar Cliffs have diverse and beautiful rock flora in many places. The Sulumyrar Marshland lies some 400 – 500 metres above sea level, above the Kjarnaskogur Cliffs. There are small ponds where cotton grass, sedge and a variety of marshland plants grow. Rare species include small cranberry and alpine club moss. This area usually is teaming with birds in summer. The Glerardalur Valley lies west of the Sulumyrar marshlands. River Glera (The Glass River) probably takes its name from the black volcanic „glass” which it carries, namely pitchstone and obsidian. River Glera flows through the Glerardalur valley and has played a major part in shaping the land around Akureyri. The valley is a rhyolite area, probably a large, extinct central volcano of the Tertiary period. Its very diverse landscape includes rock flows, rock glaciers and creeping glaciers. The highest mountain in the ridge, which divides the districts Eyjafiord and Skagafiord, is Mt. Kerling at 1,530 m with glacier Lambardalsjokull north of it. Over thousands of years, River Glera has gouged out a deep gully through the valley to the lowland above Akureyri. Fronted by grassy patches of land, the gully narrows sharply towards its highest point. Birds, such as wheatear, white wagtail, snow bunting, merlin and raven nest there, at the place called Falkaklettur (Falcons’ Cliff). Plants found in the gully include tufted vetch, wild angelica, wood cranes bill, buttercup and dandelion. Willow and birch shrub have taken root and fireweed can be found among the rocks. Rare plants, such as field scabiosus and cowberry occur higher up in the gully, and wild strawberry, stone bramble and bilberry as well. A dam was built above the waterfall in River Glera in 1920, from which water was diverted through pipes to a turbine in the lowest gully. A footpath dating from the time of the power station follows the northern side of the gully. Although the dam has recently been rebuilt, the old power station has disappeared. But there might sill be a power station there after all! The hidden people have many beautiful settlements in the Glera gully. They have particularly beautiful chandeliers, fine wall lighting, deep chairs, and carpets on the floors and pictures on the walls. I have rarely seen such beautiful homes among the hidden people. I also heard singing and music there. Up from our old power station, at the highest point of the cliff north of the river, is the hidden people’s power station, which was built before ours. I think the hidden people used electric lighting long before we did. (An account given by a lady who lived nearby). The lowest part of the gully is a row of rocks and rock stacks, one of which, on the northern side, has a cave in it. River Kota Cliffs lie southeast of the Glera gully. The Glerareyrar flats abound in colourful rocks of the same sort, which form the mountains of the Glerardalur valley, such as varieties of rhyolite, pitchstone, gabbro and basalt. Arctic river beauty and several gravel bed species grow there. Above the Horgarbraut Street, arctic river beauty blooms in large purple patches late in summer. The Akureyri church was designed by architect Gudjon Samuelsson and consecrated in 1940. The central stained glass window above the altar formed a part of a set, which was destroyed in an air raid on Coventry Cathedral in England. The bas-reliefs on the nave balcony are by sculptor Asmundur Sveinsson and the baptismal font is a replica of a work by Bertel Thorvaldsen. The Akureyri Municipal Library and Archives, Brekkugata 17. Public lending library with reference/reading room, photocopying and information services. Established as a district library in 1827, it became the municipal library of Akureyri in 1906. The local archive was set up in 1967. The David house, Bjarkarstigur 6. Home of one of Iceland’s best-loved poets, David Stefansson from Fagriskogur (1895-1964). This period piece detached house was built in 1944 and contains the poet’s original furnishings, personal effects and his library, which the town bought from his estate and is one of the largest and most valuable private collections of books in Iceland. The Fridbjarnarhus (The Good Templars’ Museum), Adalstraeti 46. Isafold, the first order of Good Templars in Iceland, was founded in this building in 1884. Built in 1856, it is named after bookbinder and bookseller Fridbjorn Steinsson, a prominent community figure and one of the founders of the order. The museum features exhibits showing the work of the Good Templars in Iceland. The Akureyri Theatre has been in continuous operation since its establishment in 1917. In 1973 it became a professional theatre company, the only one outside the capital. During its long history the Akureyri Theatre Company has staged between 250 and 300 productions, most of them in the Community Hall on Hafnarstraeti, which was built by the Good Templars and inaugurated on December 23, 1906. Also a venue for various entertainment programmes and public meetings, the Community Hall housed town council meetings until the 1950s and for a while the municipal library. In addition to the Community Hall, Akureyri Theatre Company has opened new theatre premises on Strandgata 49. A Summer Arts Festival has been held in Akureyri annually since 1993, based at Grofargil and featuring Icelandic and visiting overseas artists from various fields of the arts. The Akureyri Municipal Art Museum, Kaupvangsstraeti 24, concentrates on 20th century art. It focuses mainly on contemporary art, but also features works by pioneering artists from the earlier 20th century. The Akureyri Botanical Gardens function both as public gardens with decorative plants (formally opened in 1912) and as a botanical garden (opened in 1957) with a noteworthy collection of specimens from the Icelandic flora along with imported flowers, trees and shrubs. The Akureyri Municipal Museum, Adalstraeti 58. The museum houses artefacts and exhibits depicting ways of life in the Eyjafiord district in the past, crafts and photographs. The garden is where trees were first cultivated in Iceland, in 1899. In the yard is a timber church, built at Svalbard on the eastern side of the bay in 1846 and transported to the museum in 1970. The Natural History Museum, Hafnarstraeti 81. Founded in 1951, it now forms part of the Icelandic Institute of Natural History. 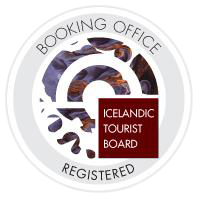 On exhibit are specimens of all breeding bird species in Iceland, and extensive collections of marine fauna, insects, plants, lichens and mushrooms. The Nonni House, Adalstraeti 54. The Childhood home of Jesuit priest Jon Sveinsson (1857-1944), who wrote children’s books under the nom de plume Nonni. Includes his personal belongings and editions of the Nonni books in many languages. Nonnihouse is one of the oldest houses in Akureyri, built around 1850. Sigurhaedir (Triumphal Heights), house built in 1903 by the Rev. Matthias Jochumsson, one of Iceland’s greatest poets, and his home until his death in 1920. It stands just down from Akureyri Church and is entered from the church steps. Includes a collection of his letters and manuscripts. North Iceland Summer Concerts in Akureyri Church during the summer. Varied programme of music and performers, with a classical slant.